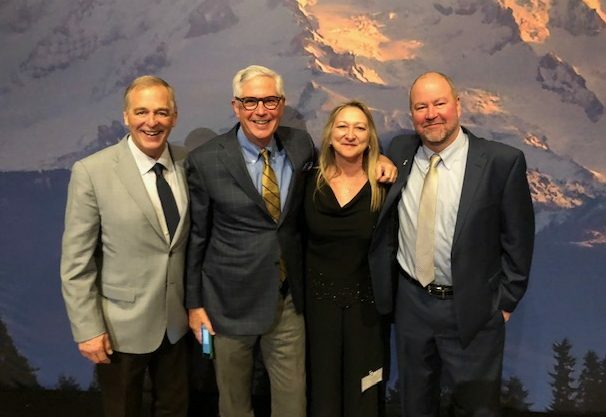 On Saturday, December 8th, the U.S. Coast Guard rescued four crewmembers who abandoned ship after a fire broke out aboard the 75-foot F/V OCEAN PEARL. 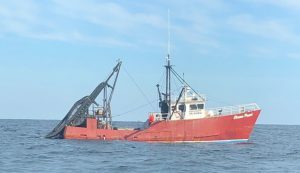 The vessel was located approximately 16 miles southeast of Cape May, New Jersey at the time of the incident. Crew members reported that an electrical fire broke out just after 10:30 EST. One of the crew members was able to activate the Emergency Position Indicating Radio Beacon (EPIRB) just before abandoning ship. According to authorities, a call was made to watchstanders at Coast Guard Sector Delaware Bay’s command center using a handheld radio. The Cape May station dispatched two 45-foot Response Boat-Medium crews as well as the 87-foot patrol boat CUTTER CROCODILE. 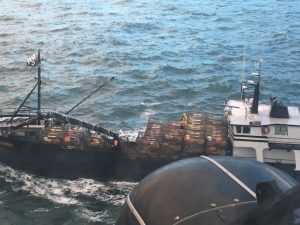 Good Samaritans aboard the charter fishing vessel Time Machine and Coast Guard officials rescued 15 people on Saturday, October 20th after a fishing boat caught fire approximately 28 miles south of Point Loma. 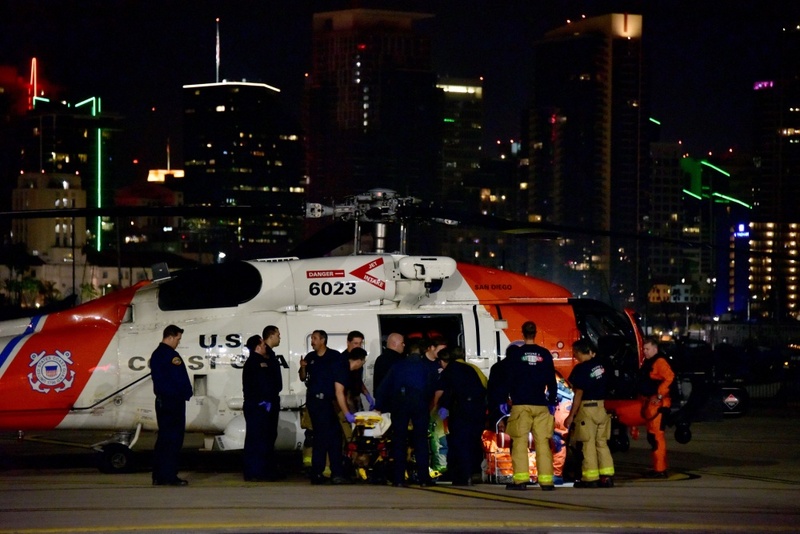 Watchstanders at Coast Guard Sector San Diego’s Joint Harbor Operations Center were contacted at about 9:35pm after Time Machine crewmembers saw a nearby fishing boat burning and several people in the water. 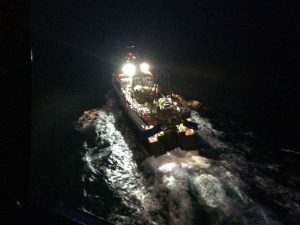 The Coast Guard Station San Diego launched a 45-foot Response Boat-Medium crew and diverted the Coast Guard Cutter Haddock to the scene. 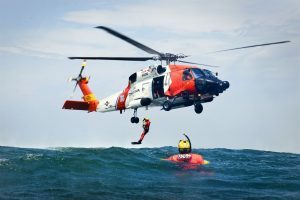 A Sector San Diego MH-60 Jayhawk helicopter crew was also dispatched and Secretaría de Marina (SEMAR) deployed two defender class boats to assist.